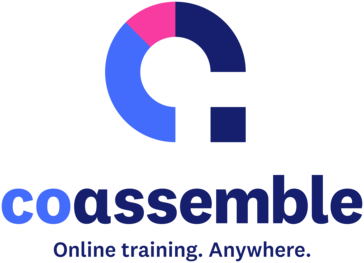 Coassemble is an online training tool that connects people with the information they need – anytime, anyplace. "Easy to use, smart product"
Coassemble's engaging presentation template have enabled us to present information in new and imaginative ways. Our trainings have become more exciting and accessible due to the structure of the courses. I also really enjoy the support provided to Coassemble customers. They are prompt, vigilant, and always follow-up. I know if I reach out for help, I will be acknowledged in a friendly manner. There isn't much I dislike about Coassmeble. If I had to write something, it would be the smaller features that I wish were available, but are not like the ability to create custom tags for lessons. But other than that, Coassemble does everything we need it to. We needed a way to train users of our software in an easy and sustainable way. We are also needed to train our own employees on our software and internal processes in a way that did not absorb one employee's time but instead created courses for continuous learning. I have already noticed the benefits of using Coassemble to solve both problems in that we can quickly train and onboard users of our software using an embedded course in our Help Center. It has made us more flexible and removed certain barriers for onboarding for our users. "Rich, dynamic course authoring experience with the power for organisations to do much more"
We were looking for an easy to use yet powerful LMS to manage our online training requirements. What I loved most about the platform was the fact that it was so easy to use and compared to all of the other platforms, you get a lot of the features on the starter plans that blow most of the competition out of the water. Once we were up and running, it was so much easier to scale up our usage with the dynamic API which utilizes Zapier. We were building/linking/automating in no time with many popular cloud services. We were one of the early adopters of this company and have seen it grow quickly. The marking experience for facilitators and rich course authoring made Coassemble a dream to implement and grow. The rich support network of knowledgeable accounts managers are available. The support team are very helpful and knowledgeable, the handy chat function ensures that any facilitators or users can easily contact them to solve issues. At this point a lot of changes are being implemented to improve the authoring experience. At this point there still isnt an ability to add custom course pathways for students to choose their own learning path and it suits a more linear course experience which isnt always a bad thing (there are few other providers providing this function). The ability to trial on the free basis ensures you can test the product for suitability prior to investing which is refreshing and low risk. We needed a rich authoring platform that was easy to use and quick to setup with the power to automate. It needed to be optimised for multi device use and Coassemble continues to deliver. It also continues to grow in the power to scale and integrate into our other systems using their well built API. Hey Harris, the team here at Coassemble really appreciate you taking the time to share your experience using Coassemble! We've enjoyed being able to support your online training vision and have truly valued growing alongside your business! Thanks - Daniel B. The easy to use platform which allows me as a designer to put my own stamp on it but if you don't have design skills you can also great a great eLearning course. The reporting functionality of the LMS component is also a great feature. I have used a number of LMS platforms and it is very rare to have an LMS that also has a great authoring tool, you usually have to pay for two platforms but Coassemble you get both in one. I would like to see a few more templates options but I assume they are working on new ones coming. Other than that it has been a positive experience. Coassemble allows me to create engaging eLearning resources for my clients over a variety of different subject matters. It has great flexibility to be able to adjust it for a variety of different clients. Hey Kristy, thanks so much for your valuable feedback and the Coassemble team love the content that you and your team create using Coassemble! Thanks - Daniel B. "User-friendly for learners and content creators"
I enjoy the Intuitive interface, the fact that it is within our budget, easily scalable as our customer base grows. The support is exceptional - I really enjoy the team. I personally feel the new branding (formerly Ecoach) is vague and a bit of a mouthful for our customers to say. I wish there was an out of the box certificate generator, but they did offer an external plugin solution. Some of our customers have trouble with their firewalls, but the support team always helps them with a workaround solution. Don't let the low price point lead you away - it is just as full-featured as the competitive products available. We needed a platform to train our customers on our products. It needed to be easy, cost-effective, scalable, and traceable. Coassemble definitely meets all those needs for us. Coassemble is easy to use and easy to train people on. We like that you can control who can edit within each lesson. Having the progress bar in the student interface is extremely helpful to track progress. Its unnecessary to open a new tab for everything. This often makes it hard to navigate. Great for training employees which isn't always marketed since its a administrator / student format. We are training our employees on our design progress via Coassemble. This is helping streamline our training process. We are noticing trainees become more efficient sooner in the training process. It allows them to have a place they can always reference before approach another employee for help. Documenting our process with Coassemble has also helped us improve upon our process. Hey Caryne, it's great to hear your thoughts on Coassemble and it's even better to hear that your employees are becoming efficient at a faster rate! It must be because of the engaging and interactive content you're making! Thanks - Daniel B. "Simplest authoring tool I have ever used." Love how easy it is to make a course and build lessons and assessments. The intuitively designed interface is extremely easy to use. Also, love that I can add customised colours and brand elements (logo etc) to any workspace/campuses. It would be great to expand the content templates collection even more. We help businesses create courses that they can use in training their staff. Coassemble offers a variety of formal and summative assessments options/templates as well as branching scenarios. So, achieving the learning outcomes that the business has set is easily created. Businesses find that we can produce courses with Coassemble that can mimic hands-on learning, which is one of the biggest challenges in elearning approach to training staff. Hey Aleks, thanks for taking time to share your thoughts on Coassemble, and it's really great to hear that we're able to help your business develop training content for companies across Australia! We know your team make some amazing content using our templates! Thanks - Daniel B.
wish i was able to upload my own videos on my own instead of having to have someone from Coassemble add them. I would like to see the support team have better hours, as i work early in the mornings and they are on a different time schedule then i am. I dislike that i can't change or customize the landing page that user see when the first sign into the platform, i think that needs a revamp. Saving time and money. Online training will be a huge asset to our company as we have employee's all over the state. It's great to hear you find our platform easy to use and thanks for your feedback on video uploading! We've recently released a feature that allows you to upload videos directly from your computer, and I'm happy to say that we've also recently revamped our Learner dashboard! Thanks - Daniel B. "Absolutely the best team members I've every done business with!" I love that the service customer service team is more than willing to help you. Mollie is so awesome, friendly, knowledgable, and you can tell she wants the best for her clients. Tanner is in sales and he is personable and makes sure you understand exactly what you're signing up for prior to payment. They all are generally quick in response time if you need assistance. None at this time, so far in the 2 months of service, I've had no complaints. I own a small business and I serve other companies using your SCORM and LMS systems. "Affordable. Easy to master. Great solution." The Ability to find and use various learning tools to address existing learning needs. Although the solution is easy to use and learn, I would wish that the costs were more affordable. It would help in ensuring that more people are able to be served by such a wonderful solution. With a straight strategy and clear learning goals, Coassemble is a product that has the ability to elevate the perfomance your teams. We wanted to compliment our offline workshops with online learning to fully actualize blended learning in our curriculum. We reviewed different solutions that are available and felt that most were either complicated for most of our users. We chose Coassemble for its simplicity and ability to meet the needs of our customers. "A very versatile all in one LMS"
The integrated authoring tool is one of the best out there . It's perfectly mobile responsive and has lots of types of contents to choose from and express any pedagogical instruction. The lesson modules ca take some time to load if accessed through a URL they provide. They have a free plan . Its best to try and see if it works for you . In all probability , coach normally will solve your issue. I make a lot of learning content from small to big using their authoring tool . Helps my students assimilate the content rather easily. Hi Akhilesh, It's great to hear you're able to assimilate your learners content easily with Coassemble! And by the sounds of it you are finding it quite enjoyable at the same time! Thanks - Daniel B.
Coassemble has lots of great features. It is easy to use, delivers excellent UX, amazing customer support and is intuitive for learners. I really can’t think of much I dislike about Coassemble. It is a wonderful product and it fills all our business needs. The usability of the platform is outstanding! This platform also allows the user to integrate into multiple platforms which makes a great impact on not only courses but marketing of a company as well. There isn’t anything to dislike about this platform. I’m enhancing the knowledge base of many aspiring and current IT professionals around the world with the course and quiz integration of the platform. "Best Choice For Value & Quality"
There are multiple functionalities and they offer the best customer service of any software I have ever seen. I like everything about this software including the avatar. If you need course authoring get it! They also have monthly pricing, which was a huge advantage for us over some of their closest competitors who only offered annual subscriptions. I use their Course Authoring component as we already use an LMS system. I was new to course authoring and the e-learning field in general and their team members were incredibly helpful. My favorite elements were the checkpoints and the diversity of e-learning development segments. It is incredibly user-friendly, which was a very important element for us as we were first time users in this type of software. Thank you so much for your wonderful feedback! It's great to hear you find value in our customer support team and find our Authoring tool easy to use. Thanks again - Daniel B. "Brand new to creating an on-line course." I found the module templates to be most helpful in creating the course. I wish that the first page I see after logging in would list just the courses created. Right now it shows the courses and modules. I would prefer something visually simpler. Perhaps the courses displayed in a list format with their corresponding modules appearing only when clicking on the course. We are using this instructional tool as a resource for leadership development. The convenience of taking the course anytime fits well with scheduling and provides helpful feedback for key decision makers within the organization. "Great System to have "
I like the layout and color scheme and being able to watch videos. I didn't like some of the pictures it gave to use. Great system to do your online training where please can do training for anywhere on any device. Training, it helps more people to be able to do our training at their own times instead of having to bring everyone in and working around everyone's schedule. * We monitor all Coassemble reviews to prevent fraudulent reviews and keep review quality high. We do not post reviews by company employees or direct competitors. Validated reviews require the user to submit a screenshot of the product containing their user ID, in order to verify a user is an actual user of the product. Hi there! Are you looking to implement a solution like Coassemble?